There are so many things I like about this dessert. 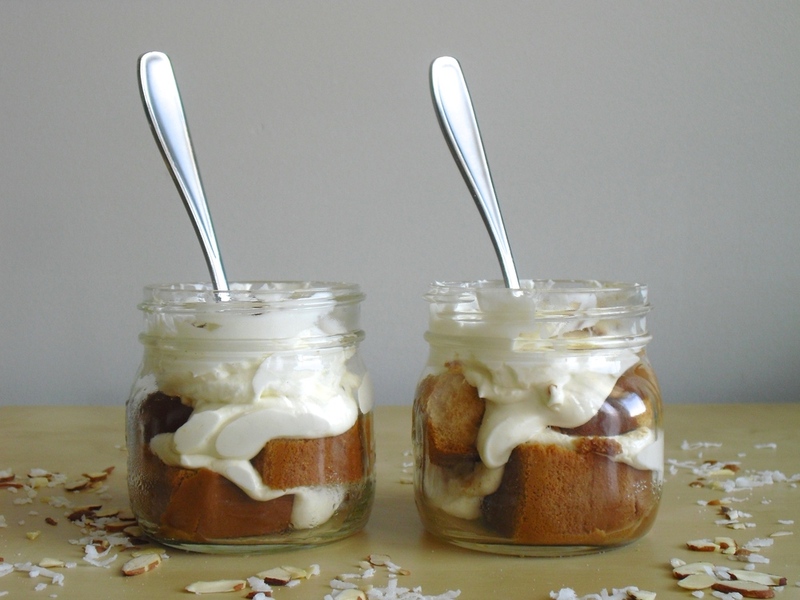 1) it's a fresh easy take on tiramisu, 2) they're miniature in little mason jars, and 3) I made them with my number 1 goon! I'm so excited to feature one of my best friends, Revathi, in this medfeature. Revathi was one of the first people that I told about the whole medfeatures idea, and I knew that a post featuring her was long overdue. Me, her, and Andrew in particular love to be goofy goons with each other. By that I mean we dance like idiots, make ugly faces in public, and stick our finger up each others noses.